With this app, you can quickly and easily create complete resumes and cover letters. 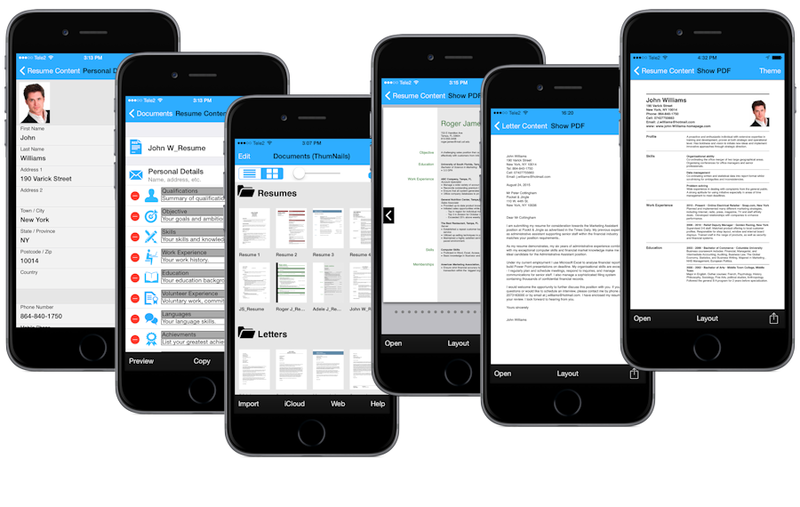 Ultimate Resume creates PDF files that can be emailed, printed or stored in iCloud. Resume information can easily be entered via forms or imported from Facebook and LinkedIn. Help guides and tips on writing resumes and cover letters are also included. Create professional PDF presentations from different themes. Choose between 20 editable themes for resume and 5 themes for cover letter. Change background, font, text size, text colour etc. Resume headings can be arranged in any order, deleted or renamed. The headings are illustrated and contain a short description. Fast and easy text input. Upload files to popular web sites via the built-in web browser. The web browser can also save files locally or in the iCloud.